From left to right: Grant Phillips (EPE), Bill Lawrence (ISREW-L SPO), Stephen Court (ISREW-L SPO), COL Joanne Whittacker (AHQ), Nick Fletcher (Head Military Heraldry & Technology AWM), Warwick Penrose (EPE), Seamus O’Brien (EPE). Photograph taken by Steve Burton. 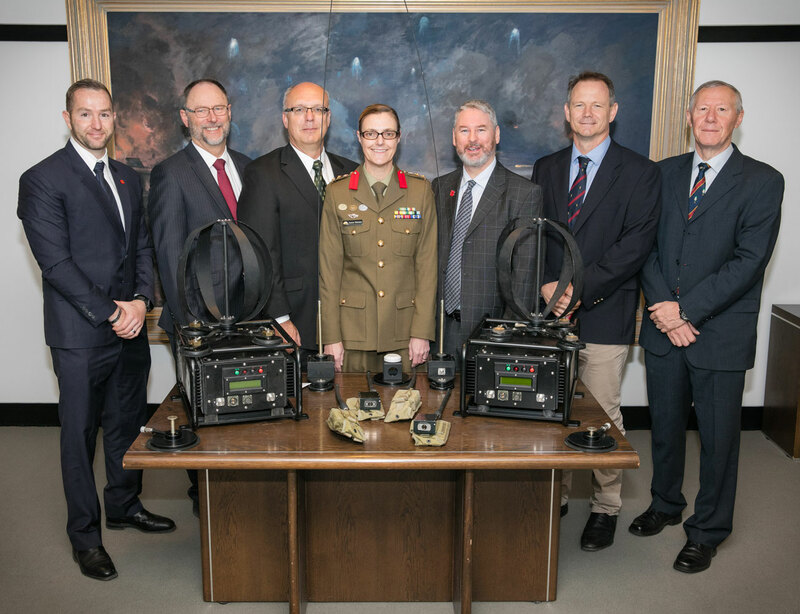 ADF has donated Force Protection Electronic Countermeasures equipment that was fitted to Up-Armoured SUV’s (UA SUV) in Afghanistan to the Australian War Memorial (AWM). This will now complete the vehicle which is displayed in the AWM Afghanistan collection. EPE delivered these vehicles integrated with vehicle mounted ECM and vehicle tracking to ADF for deployment in Afghanistan, so was very pleased to be involved in the handover to the AWM.